Have you tried Edit > Show Quick Documentation as shown in this screenshot? 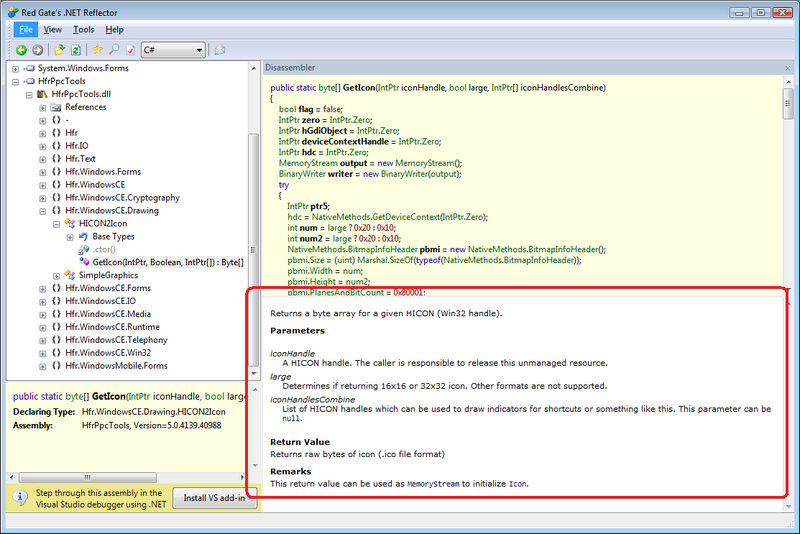 This is one of ReSharper commands available in dotPeek. Using Reflector 6 you need no additonal clicks or keystrokes. It displays the XML documentation immedately. Maybe it is possible to add the XML documentation as a dockable window?